Personal appearance: Personal appearance refers to the outlook of the assistant. The appearance of the assistance should be good- looking to others; Attractive appearance gives the deep impression to the visitors and customers. Hence, the office assistant should be neat and clean, wear a well-fitted dress and maintain good health to make his appearance attractive. Cleanliness: Cleanliness helps the assistance to be healthy. It adds to the beauty of the office assistant. It helps makes to make the personal appearance attractive and impressive. It makes the assistant smart and active. Hence, the office assistant should take a regular bath, wear spotless dresses, cut nails, brush teeth and wear polished shoes to make him look neat and clean. Makeup: Makeup is an act of decorating the appearance using cosmetics such as powder, lipstick, cream and tika which is very much important for an office assistant. Proper makeup makes the appearance of the assistant pleasing and impressive. However, over makeup should not be done, otherwise, it makes the assistant ugly. 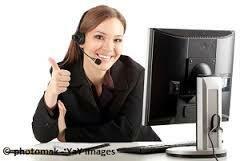 Faithfulness: The office assistant should be faithful to the organization, superiors, and customers. Faithfulness is the quality of being honest, sincere, accurate, loyal and confidential. The office assistance should perform his assigned jobs with complete enthusiasm and supply accurate and reliable information to the superiors and customers. He should maintain secrecy for confidential information, letters and files. He should not leak out his official secrecy even to his family members and friends. Tactfulness: The office assistance should be tactful in handling people and jobs. Tact is the skill and ability to solve problems, handling people and doing official jobs in a proper manner even in a difficult situation and new environment. The tactful office assistant can cope up with the new environment, problems and people patiently. The office assistant should be tactful in using his experience, knowledge and ideas to solve problems and satisfy people. Learning habit: The office assistant should have a keen interest in learning new things directly related with his work. The learning habit helps to develop his skill and efficiency. He should be able to cope with the changing environment through his continuous learning habit. The office assistant should have a habit of learning new things to adjust himself with the ever changing environment. Politeness: Politeness costs nothing, but it pays many unbelievable things. He should be helpful and co- operative to the workers, juniors, seniors, visitors and customers. It helps to maintain and develop a good relationship with the people both inside and outside the organization. In every moment, the office assistant should be polite in handling telephone, visitors, customers and reporting performance. Qualities or Traits of Office Assistant are personal appearances, cleanliness, make-up, faithfulness, tactfulness, learning habit and politeness. The outlook of the assistant refers to ______. An act of decorating the appearance using cosmetics such as powder, lipstick, cream, etc. is called ______. The skill and ability of solving problems, handling people and doing official jobs in a proper manner even in a difficult situation and new environment is called ______. Personal appearance refers to the ______ of the assistant. Faithfulness is the quality of being ______. Any Questions on 'Qualities or Traits of Office Assistant '?